Wow! If you’ve been looking for a way to coach your team how to play the 4-2-3-1, you’ve just found it. Coaching the 4-2-3-1 is a special 12-part video series which provides a comprehensive tactical and training guide to this exciting formation. Utilized by Real Madrid, Chelsea and the most successful sides in the Euro 2012 tournament, the 4-2-3-1’s flexibility and attacking power is fast becoming the formation of choice for leading coaches all over the world. In our profession you can’t afford to stand still. New tactics and formations are emerging all the time that seek to improve on existing setups and exploit the weaknesses of teams clinging on to old styles of play. The 4-2-3-1 is one such formation you need to know about. While relatively new, the 4-2-3-1 is rapidly replacing the traditional 4-4-2 and 4-3-3 as the formation of choice for leading teams all over the world. The 4-2-3-1 has been harnessed by Real Madrid, Manchester City and Bayern Munich to devastating effect to win their respective league championships and Chelsea to win the European Champions League thanks to its incredible flexibility and variety of attacking options. It’s no coincidence that three of the teams in the Euro 2012’s semifinals, Spain, Germany and Portugal, all play the 4-2-3-1. Get instant access when you place your order and you can be watching these videos within minutes. In the Coaching the 4-2-3-1 video series you will discover how to coach your teams in the tactics and techniques of this innovative formation. This includes attacking, counterattacking and transitions between 4-2-3-1 and other formations. From the insights and drills will gain from this video series you will discover how you can use it to improve your team’s flexibility, counter attacking ability and the number of goals you can get on the score sheet. 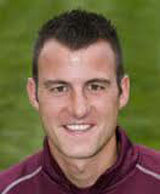 “I would strongly recommend the Wayne Harrison videos on coaching the 4-2-3-1. His attention to detail is exactly what coaches need in order to help their own teams master this exciting system used by so many professional teams in the modern game. Wayne is passionate about the game that we all love and it comes through in his method of teaching that is easy to understand and in a setting that works with youth players. These videos should be in every coach’s library.” – Sandy Pollock, Assistant Director of coaching, The Tennessee Soccer club. The 4-2-3-1 is now widely used in the Spanish and French top divisions to counter attack and swamp opposition defenses. Whilst appearing defensive in setup, the formation is exceptionally flexible as it enables wide players and fullbacks to join attacks, creating more attacking options and better service to the lone striker. The 4-2-3-1 can be described as a variation of the 4-3-3 but with more flexibility. So it’s no surprise that coaches of all levels all over the world are moving from the 4-3-3 to the 4-2-3-1 including the master tactician Jose Mourinho who won the Spanish La Liga with Real Madrid beating Barcelona in the process and reached the semi finals of the Champions League with the 4-2-3-1. He made this change after favoring the 4-3-3 when he was the manager at Chelsea and Inter Milan. So if Mourinho has made the change, then you should definitely give it a look. But in order to play the 4-2-3-1 effectively, it’s key that your team is able to maintain possession, you’re able to control the midfield area and your fullbacks understand what their responsibilities are, both in attack and defense. In addition, you have different options in attack depending on whether you have a strong lone forward able to hold up the ball or a nimble striker able to latch onto balls and finish. The Coaching the 4-2-3-1 video series shows you how to train your team in the formation’s mindset and how to develop the situational awareness and positioning your players will need to take advantage of arguably the most flexible formation in modern soccer. 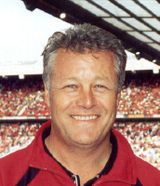 Coaching the 4-2-3-1 is presented by Wayne Harrison, former Academy Director of the United Arab Emirates most famous club, Al Ain and English pro club, Blackpool F.C. 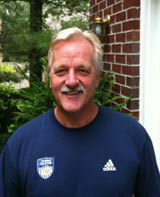 Harrison played professionally in England and Europe prior to embarking on a highly successful coaching career. His first coaching role was at English side Blackpool FC before embarking on a move to the US, where he coached for 9 years at the Eden Prairie Club. Harrison’s coaching talent then led to his appointment as Academy Director at the Al Ain soccer club, the most prestigious and famous professional club in the Middle East. Under his stewardship, the academy has utilized the 4-2-3-1 formation to win an incredible 7 championships in just 2 years, making them by far the most successful team in the United Arab Emirates. Harrison holds the NSCAA Premier Diploma, is a staff coach for the NSCAA, and has a degree in Sports Psychology and Physiology. Harrison holds a UEFA ‘A’ License and is the author of 12 books on soccer coaching, including Full Season Training Program U14, Full Season Training Program U12, Players Roles and Responsibilities in the 4-4-2 Attacking and Players Roles and Responsibilities in the 4-4-2 Defending. 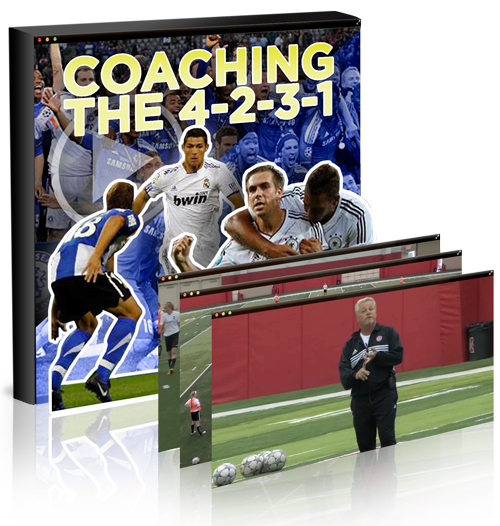 Coaching the 4-2-3-1 features was filmed at the Nebraska WORLD CLASS COACHING International Coaching Seminar. The sessions have been edited into 12 separate videos that highlight specific aspects of coaching the 4-2-3-1. The first coaching session focuses on tactics whereas the second provides practical drills for counterattacking and transitions. Harrison begins the session by explaining how the 4-2-3-1 enables three ways for attacks to be built from the back. Using Real Madrid as his blueprint, Harrison demonstrates how to spread the defensive players out wide when in attack, how to practice changing shape to get the ball out and how to get the ball up the pitch quickly. In this video, Harrison highlights the importance of positioning and how the opposition could try to counter a lop-sided triangle utilizing a 3v3 exercise. One of the 4-2-3-1’s great advantages is that the weight of numbers can force opposition defenses to fall back early and leave space for the offensive central midfield. This video demonstrates a possession drill for training players to get in the right positions, in particular the fullbacks that will need to be involved in attacks to swamp the opposition’s defense. Real Madrid’s Cristiano Ronaldo is renowned for his silky ball skills and for always working the opposition defenders. This video demonstrates how to work the wide player to disrupt the opposition’s back four by creating 2v1 situations. In this video Harrison demonstrates how to create good positions around the box for feeding the ball to the central forward. This includes harnessing fullbacks for added flexibility and less predictability and exploiting space with triangles of support. The final attacking video summaries the different phases that a 4-2-3-1 enables and how teams can smoothly transition into a 4-3-3. Harrison with the National Championships he won while the Academy Director at Al Ain, one of the top pro clubs in the Middle East. The second series of videos moves away from tactics to focus on drills for developing rapid play. The first drill can be used as a warm-up session in which the focus is on getting the ball to the striker quickly through swift counter attacking. Players will also learn how to spread wide and take advantage of the additional numbers in attack. Real Madrid’s Ronaldo is again used as the perfect example for how midfielders in the 4-2-3-1 can pick the ball up from deep. This drill aims to train players to run with the ball out wide. Harrison adds two more defenders to create a 4v4 situation to demonstrate how the numbers can be changed to suit the level of your players and how much you want to push them. Players must maintain possession in this drill in a tighter area. The ball is played from the middle to speed up the rotation from attack to defense, in a drill that is as much a test of stamina as it is technique. The whole pitch is now used with the emphasis on distribution to the wide players in a 4-2-3-1 to enable fast counter attacks. Harrison imposes a two touch limit, which can be adjusted to suit the level of your own players. Players now need to drop further back to begin the counter attack. This approach replicates Barcelona’s high pressing game where they always try to win the ball higher up the pitch and in dangerous attacking positions. One of the biggest benefits of the 4-2-3-1 is its flexibility. Harrison finishes the session by highlighting how the number six can be utilized to rapidly change the team’s shape along with fullbacks pushing up the pitch and wide players tucking in. Wayne Harrison’s academy teams have won 7 national championships in 2 years playing the 4-2-3-1; it’s no coincidence that Real Madrid, Manchester City and Bayern Munich have all won their respective league championships with the same formation. Its adoption is increasing all over the world as teams abandon traditional 4-4-2 and 4-3-3 for the greater flexibility and superior attacking options of the 4-2-3-1. In these videos Harrison explains how you can progress the drills to suit your players’ skill level or to increase the challenge. This enables the drills to be used to coach youth teams, college squads and players at an elite level in the exceptional flexibility and attacking prowess of the 4-2-3-1. Some coaches prefer books and some prefer videos for their coaching material. We will give you both. We have created an eBook showing all the drills and exercises in the videos and it’s your FREE when you order the Coaching the 4-2-3-1 12 part video series. So now you can look at a written description and easy-to-read diagrams while you follow along with the videos. 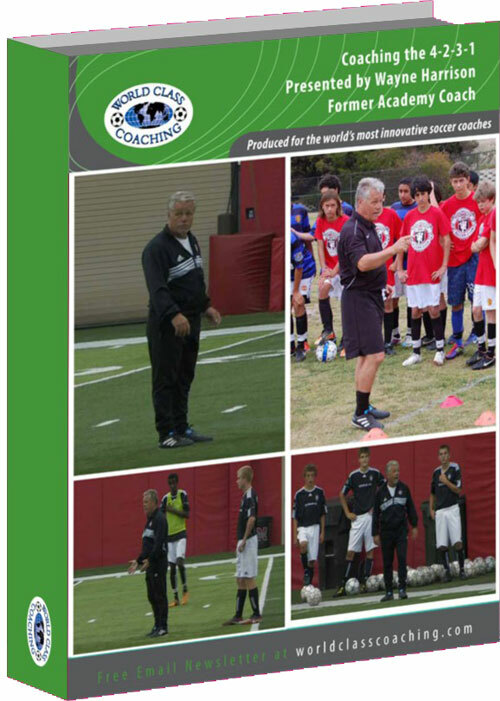 WORLD CLASS COACHING is recognized globally for the quality of its soccer coaching resources, which are used by over 40,000 soccer coaches from around the world. We wouldn’t be offering you Coaching the 4-2-3-1 unless it achieves our exceptionally high standards. 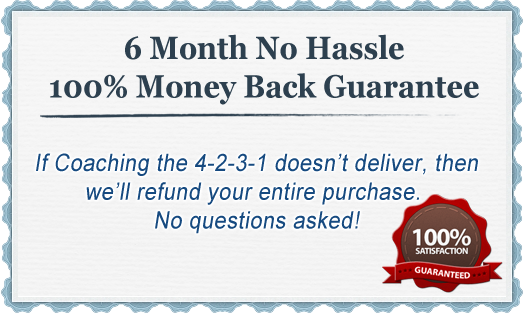 However, if you are not 100% satisfied with the quality of Coaching the 4-2-3-1 after six months then please contact us for a no quibbles refund. Euro 2012 has been a soccer feast for fans and has highlighted the tactical advantages that the innovative 4-2-3-1 has to offer coaches. Semi-finalists Portugal, Spain and Germany all play with this formation, which is able to dominate the midfield and swamp opposition defenses. Presented by a coach with exceptional success in training his academy teams to harness the formation, Coaching the 4-2-3-1 shows you how to coach your players in both the tactics and the techniques need to play it effectively. This includes attacking from the back, harnessing attacking flankers and utilizing a creative # 6. Whether you coach amateur sides or players at an elite level, Coaching the 4-2-3-1 will enable you to discover how to coach your team in this formation so that they can play with more flexibility and to create more goal scoring opportunities. P.S. Coaching the 4-2-3-1 is a video series that demonstrates how to train your players in the tactics and techniques needed to play the formation effectively. The 4-2-3-1 is exceptionally flexible and enables you to harness attacking fullbacks and wide players to create more goal scoring opportunities. Already harnessed by Real Madrid, Manchester City, Chelsea and Bayern Munich, along with Germany, Spain and Portugal, the 4-2-3-1 is fast replacing the 4-4-2 and the 4-3-3 as the formation of choice for coaches all over the world. P.P.S If you are not 100% satisfied with the quality of the soccer coaching resources in the Coaching the 4-2-3-1 video series after six months then we will refund your purchase in full, no questions asked.